Is It Acceptable To Play 'THIS' On The Ukulele? Sounds strange doesn't it? 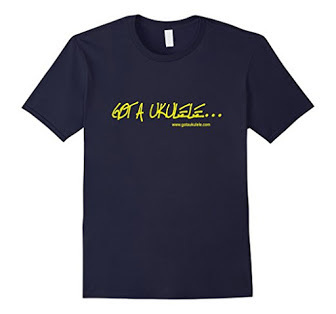 A concept that the uke is built for only one thing? In the world of music, styles and tastes present a massive (and perhaps infinite) range to the player and listener. What works for or 'moves' me, may not do the same for you, and vice versa. That is cool. Of course it is. But does everybody think that way? Sadly, I see quite a lot on the various social media circles for ukulele players of a certain stuffiness (at worst) or strong opinion (at best) about what other people are playing on their ukuleles. 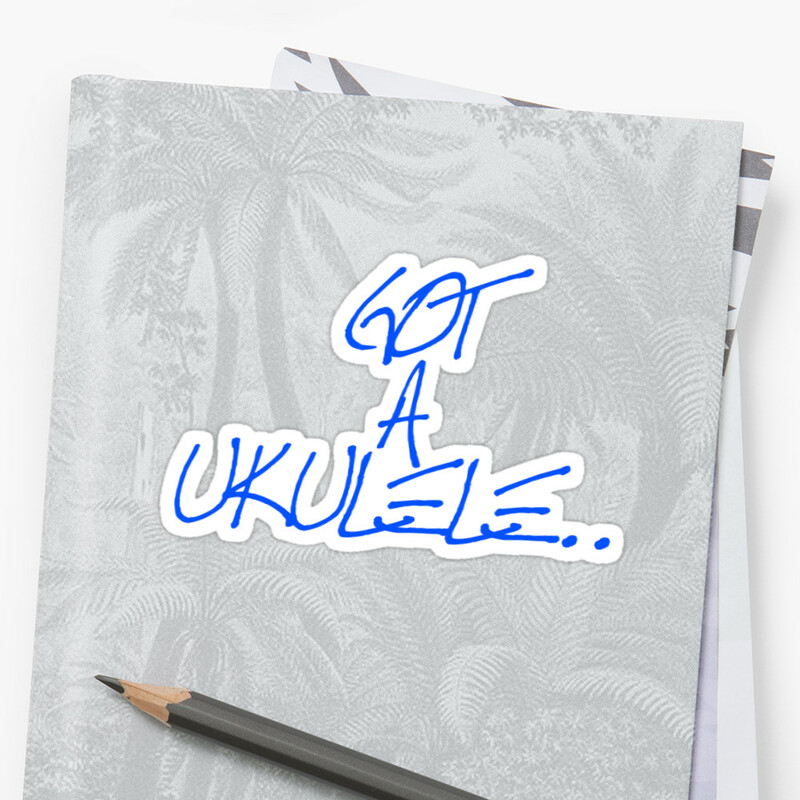 I have personally witnessed people 'dissing' other peoples song choices, 'likes' or requests for songs with comments back such as 'you shouldn't play that on a ukulele... the ukulele was designed for X, Y or Z', or 'If you want to play that sort of music, you should play it on a guitar (or similar) '. This just doesn't sit right with me at all. I don't think it sits right with the history of the ukulele, nor do I think it sits right with making music, full stop. Let us start with the ukulele first. Many of you will know that the instrument has it's main origins in the Hawaiian islands. 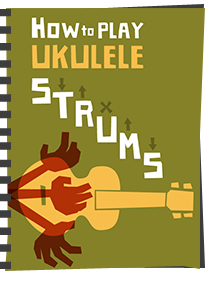 As such the first popular playings and stylings of the ukulele were formed from a particular style of music - music from those very Islands. But, that was an awful long time ago, and since then the instrument went through various booms and busts and changes of direction. 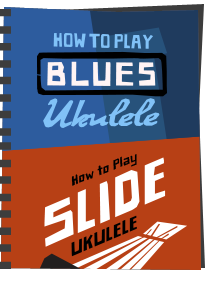 Perhaps one of the biggest changes was the ''music hall booms of the 1930's and 40's that brought the ukulele to the fore with the likes of Cliff Edwards and George Formby - both playing styles that were pretty far removed from Hawaiian origins. The ukulele was HUGE then, and was for many people, the instrument one bought at a music store. 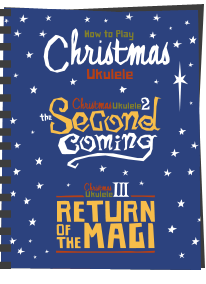 I suspect at that time, the traditionalists (traditionalist then being those who made music on the uke BEFORE that time) made their complaints, as the instrument moved into new territory. But that doesn't make that change wrong does it? Moving to the current boom though, and the same thing is happening. I know that the island traditionalists may still scoff at what is being played these days, but then some music hall fans ( a style that itself was a departure from the traditional) can also be found to scoff at anything that is not played in their preferred style too. Crazy. And let us look at music more generally - is the playing of Jerry Lee Lewis on piano really anything at all like the earliest works of classical piano compositions? Can you compare Duke Ellington to Rachmaninov? Of course not. Does that mean they are not valid? Equally, no. The guitar had its beginnings in Spain about 700 years ago (and that instrument itself was based on earlier stringed instruments of much older vintage), but how do you equate the different playing styles of, say, Andrés Segovia, Django, Hendrix, Carthy, Clapton, Cobain, and countless others against each other? You don't and you can't. They each have their fans, they each use the guitar, but they put their own spin on it - in many cases a wildly different spin too. And that is for one good reason, whether guitar, piano or anything - the instrument is merely built to make music. The ukulele is just a musical tool like the others, nothing more and nothing less. I know that the current boom creates a certain romanticism for the instrument and a strong social bond between players (a check of any social media outlet will see the 'four strings good, six strings bad' type of thing), but it must be said, the uke is nothing more than a device for making music. It is not better or worse than anything else on that front, putting aside personal tastes of course. As such, if you want to play traditional Hawaiian tunes, music hall, folk, rock, blues, experimental, industrial, metal, jazz or whatever, then that has to be all good surely? In fact if you want to bang the ukulele with a dead fish, but can get an engaging piece of music out of it, then that is your right. If it serves to entertain / challenge / move people (toes tapping, smiling, laughing, crying, whatever), then in my book it is perfectly valid no matter what you play. So, if you have a style you particularly enjoy, then you have every right to enjoy it to the full. If you come across a player who plays a very different style from you... well, you don't have to enjoy it, but equally, you shouldn't ever suggest that it is not valid or relevant for the instrument. Chances are, they think the same about your style but are just not expressing that view openly? 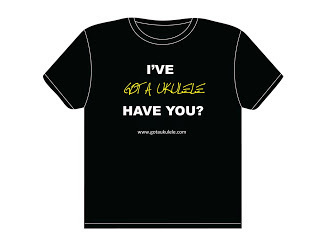 Go to any good ukulele festival and you will see a range of styles of music - all on the same instrument. You will have your favourites (I know I do), but they all have a right to be there. If you are the sort who thinks that 'this' or 'that' shouldn't be played on a uke, then do you follow that thinking up by suggesting that act X or Y should not be on the bill? Don't be silly. And at the end of all of that, as if it needed to be said - I really love the diversity of music that comes from the ukulele community. Not all of it moves me, but I know full well from the many people I meet that it all moves 'somebody', and that is good enough for me. We all like different things, but personally think that anybody attempting to play music on the uke, whatever their preferred style, should be encouraged and applauded for doing so. It's all good, and I do wish that people would think about that. We can't all be the same - just embrace the common bond of the instrument and enjoy the mix we create! ps - I write that post in full awareness of the fact that I made something of a name for myself in not being a fan of George Formby. Please note - I am NOT a fan of George Formby, but would NEVER suggest that people who like that uke style should refrain from playing it, or that such performers would not be welcome at a uke event! It depends a lot on how seriously you take yourself (and your playing) - I play for fun, primarily to please myself and thus it doesn't matter what I play .....as far I'm concerned nothing is out of bounds. First off: Amen. I do everything from Snoop Dogg to Iz, Britney Spears to Tom Waits and it all sounds good (to me, at least, and isn't that what matters). The ukulele is an instrument to make music. That's it. It's not sacred. It's a gorgeous, tinny little thing that makes music and happiness. I've done everything from Dolly Parton to Toyah to the Goodies to Tom Jones to Avicci. Who cares? The uke makes it all fun. I do joke that covering Mr Formby is actually illegal, though. Only because when you tell an unknowing person that you play the uke, that's the first thing they ask if you play. Thanks, Barry. You've basically stated (in a much better way) what I've told my students/friends/fellow ukers for ages: that music, like language, is a LIVING thing, and as such it changes along with the years. I strongly believe that people should know the history of the ukulele, but to say only Hawaiian music (which I love) should be played isn't totally true. After all, the Hawaiians copied the Portuguese sailors' braguinhas/ and rajaos, but didn't restrict playing to Portuguese tunes. They immediately began writing their own music on their variations of the instruments. 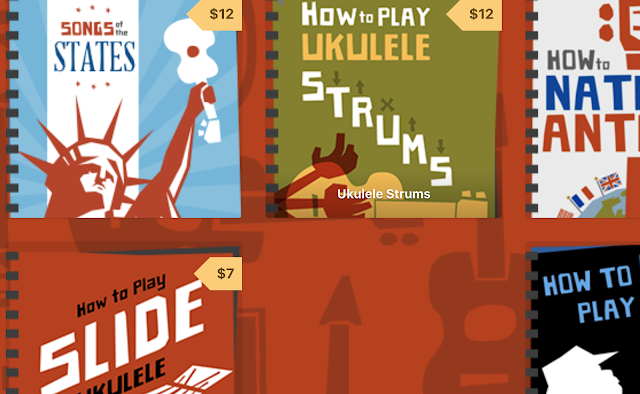 The `ukulele is an amazingly versatile instrument, and adapts to so many styles (some better than others!) And, being such a small 'personal' instrument, it only follows that the individual player will find their own favourite style. More power to 'em, I say! What's messed up for me is, because I live on a British island that's close to the States, I get both Formby AND Tiny Tim... and a look of surprise when I say I know 'em, but don't play any of their songs. Although I DO say "If I could play like Formby, I wouldn't be playin' in THIS dump!" Can't say that about Tiny Tim! I wouldn't wear that shirt either. But being a lapsed guitar player, I play anything at all on my ukes. In the past week, new stuff has been Bon Jovi, Bryan Adams, James Bay The Zutons and Imagine Dragons. really enjoyed this article, and to be honest, I didn't realise that an instrument is only meant to play certain songs, My own view on this is play whatever the hell you like, how you like, playing different types/styles of music just shows the uneducated how versatile an instrument like the ukulele can be, if players want to play hawaiian music until the day they drop that is fine by me, if they want to play George Formby/Roy Smeck songs that is also fine by me, if I want to play rock, punk, soul, R&B or any other style of music then that is my choice, no one elses, if it sounds good play whatever you like, and for those who think the uke shouldn't be taken seriously then they need to move on, IT IS A MUSICAL INSTRUMENT GUYS!!! Great article. Sadly it shows just how much snobbery there can be in the music world. As a classically trained singer it regularly comes up too. Yes, she IS singing it in the original key high Fs an' all!! Mandi? She's performing at this years GNUF!